Sony Vaio Laptop LCD/LED screen broken? One or more horizontal and vertical wide lines are in the laptop screen? Any black round spot or completely black & white display appearance? Flickering display? You may need to replace the display screen or the display unit. Searching genuine Sony Vaio LCD/LED screen in Raipur? Sony Vaio Laptop screen for Sony Vaio Laptop is available in best price. 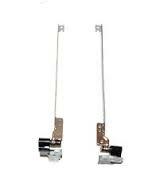 You can order Sony Vaio compatible screen from Raipur like any other city in India. Authorised Laptop Repair Service Professional. All model of Sony Vaio Laptops and Motherboards servicing center. 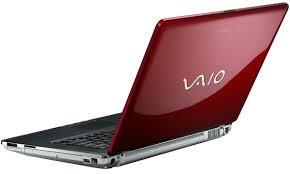 Please contact us for any Sony Vaio Laptop issue. We attend all kind of Hardware and Chip-Level troubles. We troubleshoot and provide the best possible solution for your laptop. All Sony Vaio laptop accessories available here in best price. Please share your laptop problem with our technical expert and will guide you to trouble shoot of the problem and will suggest you the best possible solution. Broken laptop issues are also attended. Broken body/panel and broken hinges are fixed. Please note: we accept only none-warranty laptops. Please contact nearest Sony Vaio authorised laptop service center for Sony Vaio laptop under warranty. Following genuine laptop accessories available at Mandira Tech compatible with, Sony Vaio Laptop battery, Sony Vaio Charger adapter, Sony Vaio LCD/LED screen, Sony Vaio Laptop Keyboard, Sony Vaio Heat-Sink, Sony Vaio Hinges, Sony Vaio Casing etc. Motherboard available for all Sony Vaio models in best price at Mandira Tech. 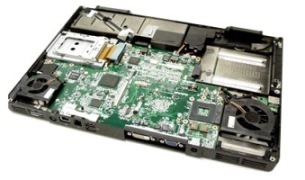 If the motherboard is completely damaged and there is no hope of repairing, you can go for the New Sony Vaio Laptop Motherboard. Shop Online Now. Charging problem? Laptop not charging at all? Searching for genuine charger ? Mandira Tech, it's the right place for shopping laptop accessories. Available Sony Vaio Charger in best prize and easily shopped online. click here. Laptop keyboard issue, like few keys are not working, after pressing a key it becomes sticky, laptop stops responding, keys are broken or lost or keys are not sited in the keyholes properly. Yes, you may need to replace the keyboard. All Sony Vaio laptop keyboard available in original and compatible options. Shop Online Now. Sony Vaio Laptop Casing and Hinges broken.